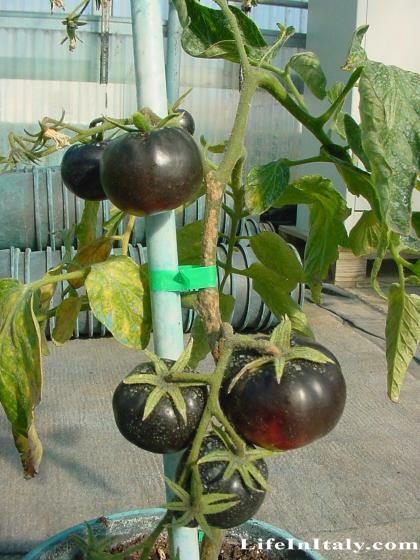 Italian scientists and farmers have developed a black, anti-aging "super tomato." According to Coldiretti, the "Sun Black" tomato is rich in lycopene, a red pigment that is one of the most powerful antioxidants known to fight against aging and prevent cardiovascular diseases. Coldiretti unvailed the super fruit at their headquarters in Rome last month and are commercially available. The Farmers Union in Italy announced that these tomatoes will contain Lycopene (a bright red carotene found in tomatoes) which helps anti-aging. 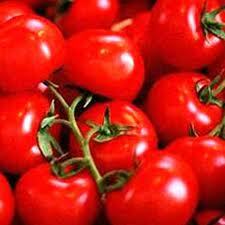 The super Tomato also assists the body to release unwanted waste from the human body to leave it excess free. It may be productive in preventing heart problems and cancer other studies also showed that the Lycopene improves the mental stability of humans. Let's hope that people focus more on sustainable farming and less on commercial farming. It's about time the world goes green!